Will Maytas help Satyam turn around? Hyderabad/Bangalore: India’s fourth largest software services company Satyam Computer Services Ltd said it plans to acquire Maytas Properties Pvt. Ltd for $1.3 billion, or Rs6,214 crore, and a 51% stake in Maytas Infra Ltd for $300 million, in a move that benefits the Raju family that has promoted all three firms, and which was strongly criticised by analysts and fund managers. The deal was announced after trading hours in India but on the New York Stock Exchange, the reaction was immediate: Satyam’s American depositary receipts had dropped to $5.64 each, 54.66% lower than their previous close, at 10.04am Eastern Standard Time. The Raju family directly owns about one-third each in the two companies it plans to acquire and 8.61% in Satyam. Satyam didn’t explain how the deal would be funded. The company has cash of at least Rs5,300 crore on its books as of 30 September. The move, which the company management said would diversify its revenues beyond its core software services business, shocked analysts and investors, who see little synergies between Satyam’s core software operations and the realty and infrastructure business of the two firms. The buyout decisions were approved by the acquirer’s board on Tuesday. 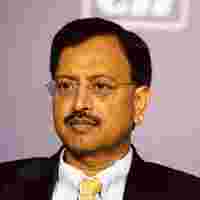 Satyam did not consider any other realty or infrastructure firm seriously, chairman B. Ramalinga Raju said in an analyst call. On the call, Srinivas Vadlamani, chief financial officer of Satyam, said the acquisition would add to Satyam’s earnings per share in the second year. Raju said the buyouts were made in an environment of slowdown in tech services. In the wake of ongoing global economic crisis, Satyam has revised the full year dollar revenue guidance downwards to between $2.55 billion and $2.59 billion, implying a growth of 19-21% over fiscal 2008, lower than a forecast of 24-26% made earlier. Maytas Infra ended the last fiscal with total revenue of Rs1,660 crore and a net profit of Rs100 crore. The order book of the firm, which holds a 35-year licence to run a metro network in Hyderabad, stood at Rs11,554 crore at the end of quarter ended 30 September. Maytas Properties, Vadlamani said, has a land bank of 6,800 acres with a potential built-up space of 245 million sq. ft. In comparison, “DLF has 10,000 acres of land is valued at Rs60,000 crore," he said. “In comparison, (Maytas Properties was) acquired at Rs6,500 crore." While privately held Maytas Properties would be immediately acquired, 31% in Maytas Infra will be acquired from that company’s promoters at Rs475 per share and an additional 20% will be acquired from the public through an open offer at Rs525 per share. An undisclosed stake of Maytas Properties is held by Infinite India Investment Management, a realty fund jointly promoted by JM Financial and US-based SRM Investments, which invested Rs600 crore in the firm in February. Shares of Satyam closed at Rs226.50 each, up 0.49% from Monday’s close. Analysts and experts were outraged at the decision. “We are totally opposed to decision. We think it will deplete cash resources and put on record our opposition," Chetan Sehgal, chief information officer at Templeton Asset Management (India) Pvt. Ltd, said during the analysts call. Hardik Shah, tech analyst with Mumbai-based Asit C Mehta Securities, said: “If the company did want to enter infrastructure segment, it should have shortlisted companies and done due diligence rather than just acquiring a company promoted by the same group." According to Indian law, free reserves of a company up to 100% can be used for acquisitions without shareholder approval. “This is a very serious corporate governance issue. There is no doubt in it," Sanjeev Prasad, head institutional research at Kotak Securities Ltd, said. In an unrelated development, Maytas Infra CEO P.K. Madhav was arrested on Monday night over the alleged failure of Nagarjuna Finance Ltd, in which he is director, to repay depositors. Nesil Staney in Mumbai and Rahul Chandran in New Delhi contributed to this story.